Tommy Stinson has quite a musical resume. He played bass guitar for The Replacements, a Minneapolis rock band which still has a cult following decades after their albums were released and their legendary concerts often left wakes of destruction and baffled fans. Their 1984 album Let It Be is regularly ranked as one of the top albums of that decade. After one more album, Tommy’s brother Bob was fired from The Replacements because of substance abuse issues, and he passed away a decade later. The band released several more acclaimed albums before calling it a day in 1991. 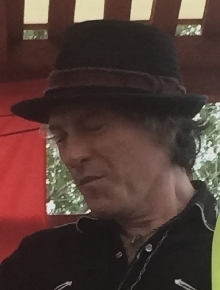 Singer Paul Westerberg and Tommy reunited The Replacements in 2012 for a successful string of shows, but they broke up, apparently for good, in 2015. Also, from 1998 until 2016, Tommy played bass guitar for Guns N’ Roses, including on the Chinese Democracy album which took a decade of recording to finish. Along the way, he has released well-regarded albums with Bash & Pop and as a solo artist. 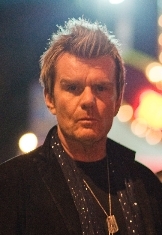 Billy Duffy is the guitarist for The Cult, a renowned British hard rock band with psychedelic and punk rock influences formed in 1983. The Cult’s notable albums include Love (1985), Electric (1987), and Sonic Temple (1989), and in 2012 they released a new album called Choice of Weapon. Their songs include “She Sells Sanctuary”, “Love Removal Machine”, “Fire Woman”, and “Edie (Ciao Baby)”, all co-written by Duffy and singer Ian Astbury. Before The Cult, Duffy played in The Nosebleeds (with a pre-Smiths Morrissey, who Duffy reportedly introduced to Johnny Marr), Slaughter & The Dogs for a short time, and Theatre of Hate.